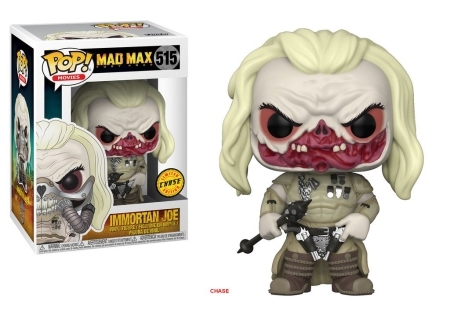 Oh, what a lovely day! 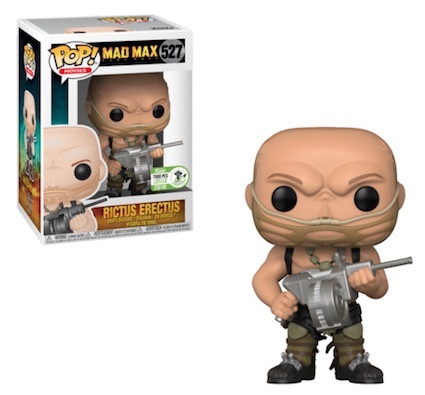 What a day, indeed, War Boys! 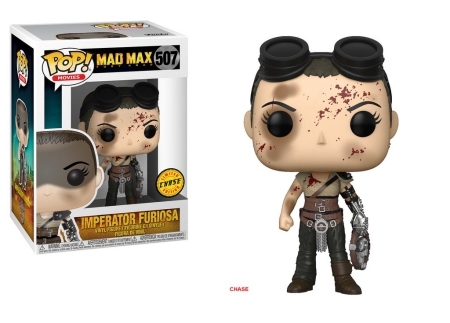 Funko Pop Mad Max Fury Road receives the vinyl makeover, but don't worry as the subjects are anything but mediocre. 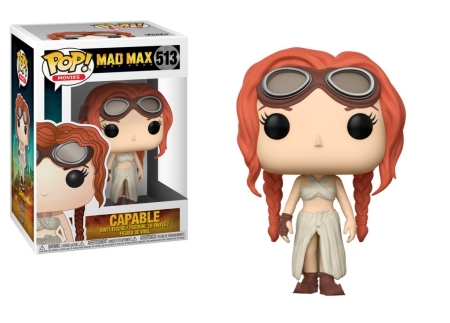 Despite being fourth in the franchise, Mad Max: Fury Road quickly became a favorite with both fans and critics. 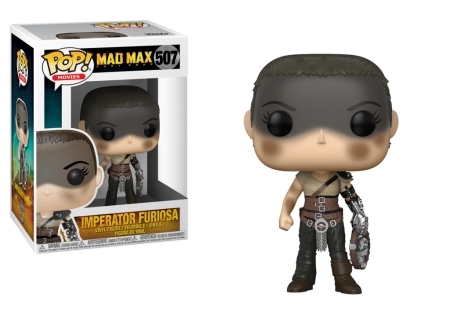 The unique Funko Pop Mad Max Fury Road set keeps the artful, gritty appearance of each character from the 2015 film, including Furiosa, portrayed by Charlize Theron, and Max, played by Tom Hardy. 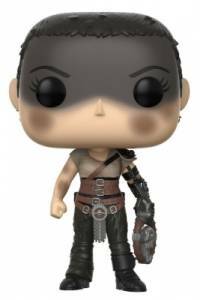 The Furiosa figure is posed with grease across her forehead as she holds the steering wheel of the "War Rig," while the chase variant is splattered in blood with goggles atop her head. 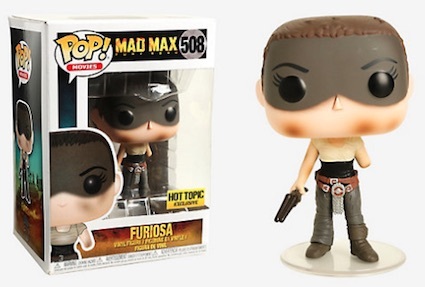 Also available is Furiosa missing her arm, which is issued through Hot Topic. 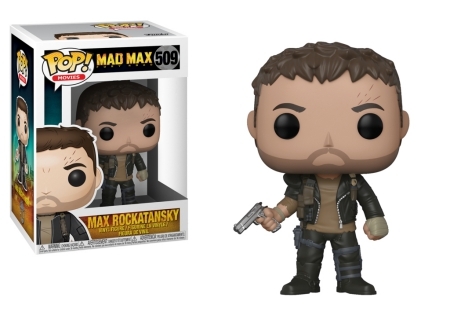 Certainly not overlooked, Max comes unmasked, sporting a five-o'clock shadow. 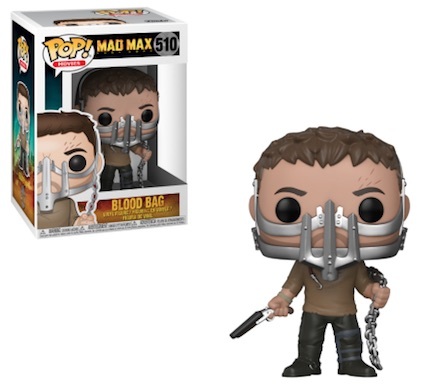 In addition, the Walmart exclusive shows Max with the cage mask. 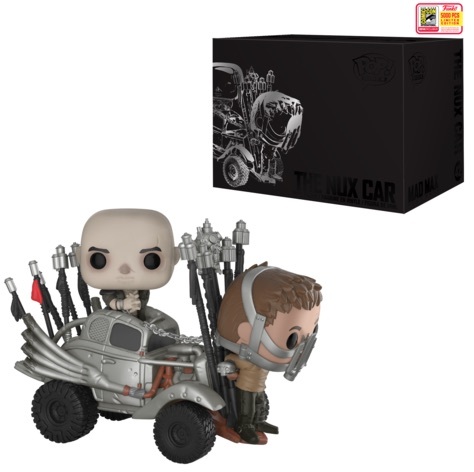 Order Pop Mad Max Fury Road Figures on Entertainment Earth. 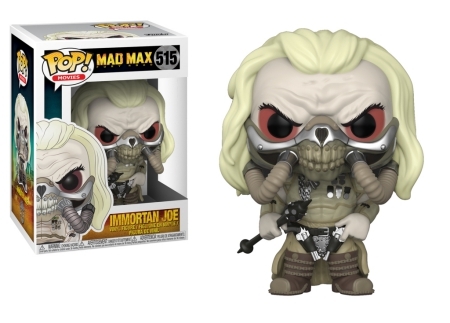 Although Immortan Joe has a masked main option and an unmasked chase variant, the Five Wives' lone representative is the red-haired Capable. 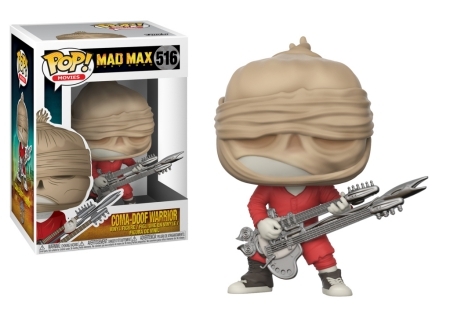 There are also "war boys" figures in the Funko Pop Mad Max Fury Road lineup, including Coma Doof with his guitar, and a Target-exclusive Coma Doof with flames. 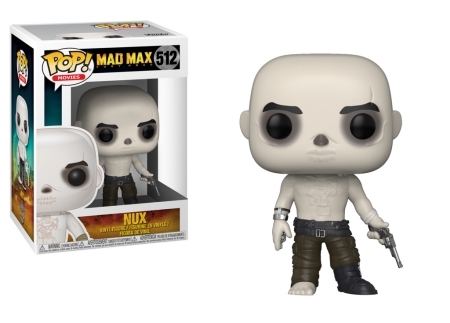 Furthermore, the pale-skinned Nux wears black pants and is missing one boot. 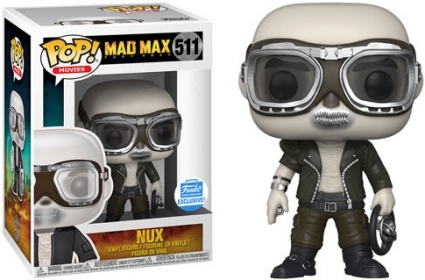 Aside from the standard version, Nux in a jacket and goggles (with chromed lips!) 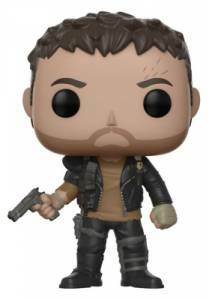 is a Funko-Shop exclusive. 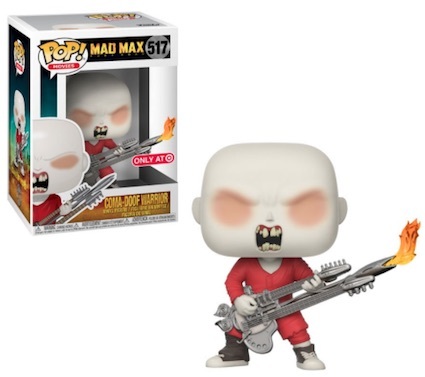 Holding things down for the Pop! 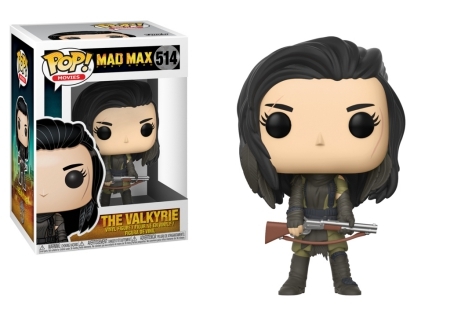 Movies release, The Valkyrie stands with a shotgun.